The late Elspeth Jack first moved from Cape Town to the Napier district twenty years ago. Elspeth’s keen interest in the local community and her desire to stimulate social upliftment left an indelible mark on her son Bruce, who continues her work through the Headstart Trust – established in her memory to provide and promote education and outreach programs for educational enrichment, academic support and supplementary tuition to poor and needy children. Left to Right: Jason Snell (the Drift), Cibella van Geems , Anne Petersen , Mariska Purdy (the Drift), Evelyn Sauls and Andre Purdy (the Drift). Our current project is to assist the young learners of Protea Primary in the rural village of Napier in the Overberg region of the Western Cape. Mariska Purdy, the Drift farm administrator, had established from the school that a lack of basic stationery was holding up the learners. 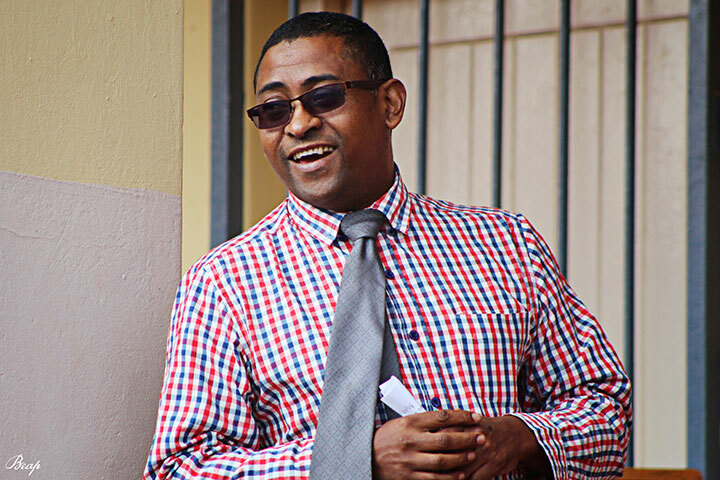 With the generous support of Dave Boulle, owner of Masons, the largest independent office suppliers in the Western Cape, we recently addressed this all-to-common impediment to success. At the handover of vital stationery supplies, we also continued our tradition of supplying the Grade R class with top quality beanies, beautifully embroidered with their school crest, so their young minds are kept warm through the winter. Keeping young minds and bodies healthy is a critical component of developing an informed academic career, the foundation of sustainable empowerment. 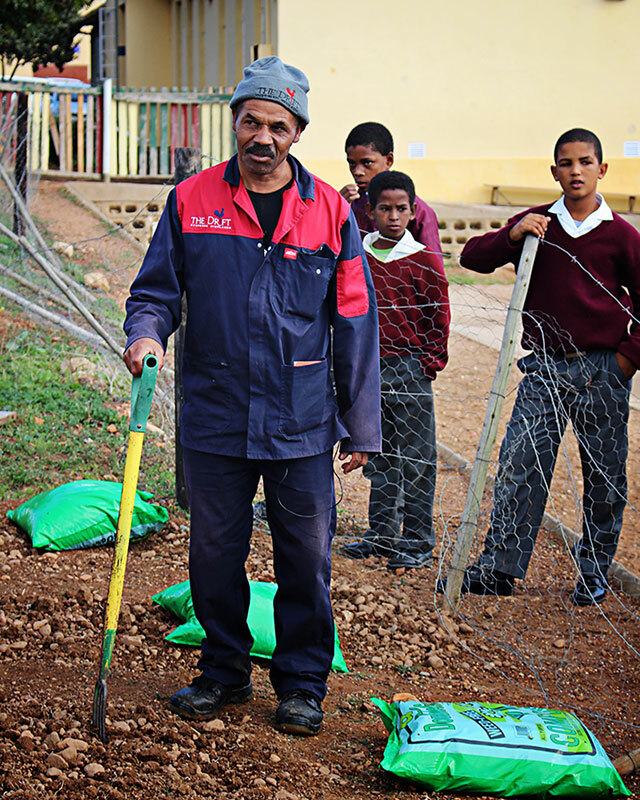 With a small plot of arable land and willing hands, Piet, Kotie and Niklaas from The Drift Farm taught the kids to till the earth and plant vegetables. In the months to come they will coach them in weed control, nutrition, irrigation and how to harvest their crops. The Headstart Trust aims to encourage the local community to hatch new ideas and projects for the future. We donate a percentage from the sale of our estate wine, Moveable Feast, to the fund the Trust. Additionally, every year at our much anticipated Winter Solstice Dinner for Drift Private Wine Club Members, Bruce sells a limited selection of exceptional wine from his personal wine library – the entire value of which will go to the Trust. 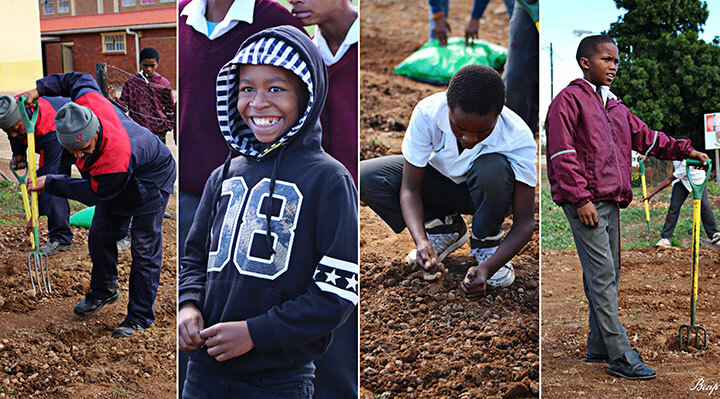 Soon Drift Farm customers can contribute at any time – there will be a donate option on our webshop to facilitate easy contributions to the Trust. Watch a short video on the Headstart Trust here.